Lyme Disease is an infectious disease transmitted by bacteria called Borrelia burgdorferi. It is also known as Lyme Borreliosis. One sign of infection that sometimes occurs is a gradually expanding rash known as an “EM rash” (Erythema Migrans), which may appear 5 – 7 days after a tick bite, or sometimes as long as 7 – 10 weeks later. 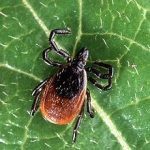 Ticks can transmit more than one type of infection, known as Lyme Disease co-infections. Lyme disease can be found throughout the UK and around the world. The number of cases has been steadily increasing. 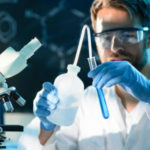 AONM (the Academy of Nutritional Medicine) is affiliated with ArminLabs in Germany, the foremost laboratory in Europe for Lyme Disease and Co-infection Testing. If you have reason to suspect that you may be suffering the effects of Lyme Disease, please complete the online screening form below. An advisor will review your information and get back to you. Could I have Lyme Disease? Lyme Disease can be roughly categorised into three stages. The symptoms shown below are just a selection, and indeed the categories may overlap. Arthritis of the large joints: knees, hips, etc. Might I have Lyme Disease? A clinical diagnosis is the only way to determine if you are suffering from Lyme Disease and/or co-infections. Testing is done so that a health practitioner can match physical observation with test results, and so determine the best way forward. As a starting point, the we will send you a questionnaire that will tell us enough to be able to give advice about whether you should proceed to testing. Please enter your details and submit the request form below. One of our advisors will then contact you. Your personal information will only be used for the purposes of advising you on the suitability of our testing procedures and will not be shared with any third parties.